Feirich/Mager/Green/Ryan (FMGR) has come a long way, since being established by Charles E. Feirich and Judge W. W. Barr in 1909, to serve as district counsel to the Illinois Central Railroad Company. 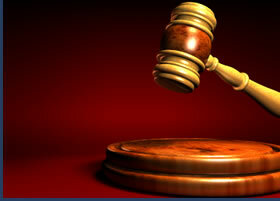 Today, FMGR offers a wide array of legal and practical expertise. As this region’s largest local law firm, our clients benefit from "one stop shopping" for many types of legal representation. Those representations include, among others, matters involving traumatic or workplace bodily injury, property damage, medical and professional malpractice, insurance coverage, employment, construction defect, real and personal property, contract negotiation, and corporate guidance. You will find FMGR counsel to be strategically minded, communicative, and practical. We believe that clients who are fully informed in the facts, strategies, and progress of each matter are better equipped to make informed decisions. While FMGR is diverse in its talents, FMGR attorneys’ skills are applied with a single purpose: to deliver fine legal representation with all the professionalism and responsiveness that a modern and diverse law firm can provide. Provide each client with individualized, effective, quality legal representation by applying sound judgment and relentless effort to the highest levels of legal knowledge, strategy, communication, responsiveness and value-consciousness. To those ends, FMGR serves our clients by constantly improving our methods and systems while maintaining strong commitments to continuing education and professional development. FMGR is proud to be recognized when our attorneys are commonly requested to serve courts, law schools, and professional organizations which mold and affect the practice of law. At FMGR we provide our clients with more than high quality legal representation; we consistently strive to provide the highest value possible. FMGR’s in-house para-professional staff work under close attorney supervision to accomplish tasks which might otherwise require attorney services. At FMGR, high-quality, effective legal representation is only the starting point. FMGR representation is cost-effective, as well. While FMGR is typically primary counsel before this region’s courts, we are regularly honored to receive assignments as local counsel, from distant legal specialty counsel who require our in-depth knowledge of the regional state and federal courts, local court rules, local jury pools, local contacts, and the use of our facilities in litigation support. FMGR welcomes your inquiries toward cost effective and capable local representation in class actions, environmental matters or other litigation.